Love Cats & Coffee or Tea? Start off the day in a quirky and playful way! This mug will bring a smile to your day when you wake up in the morning and have that first cup of joe, tea or hot chocolate. DESIGNED TO DELIGHT – Enjoy your morning dose of caffeine with a cool and funny design! This coffee mug is the perfect conversation starter, and sure to amuse any mug or kitty cat fan. THE PERFECT GIFT – Funny Coffee Mug for anyone in Your Life! : Mother”s Day Mug, Friend, Wife, Husband, BFF, Coworker, Mom, Best Friend, Sister, Girlfriend, Boyfriend, Neighbor, Teacher, etc. COLOR CHANGING CERAMIC MUG – This mug is perfect for tea, espresso, cappuccino, and anything else the planet watcher in you desires to drink (whisky). Color changing mugs are not microwave or dishwasher safe, please HAND WASH ONLY. 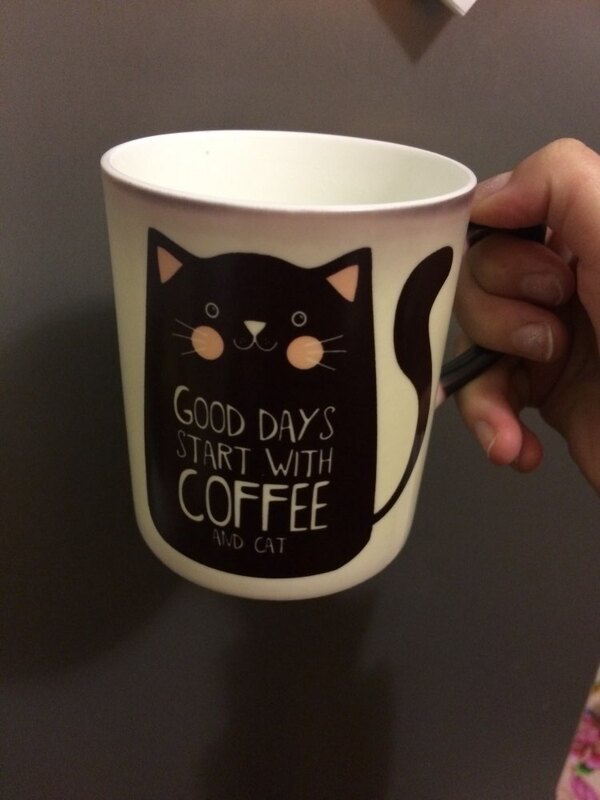 HEAT ACTIVATED – Pour in hot liquid and watch the cute kitty magically appear on the mug. We are clearing our warehouse! Offer Ends Soon. Limited Stock Remaining. 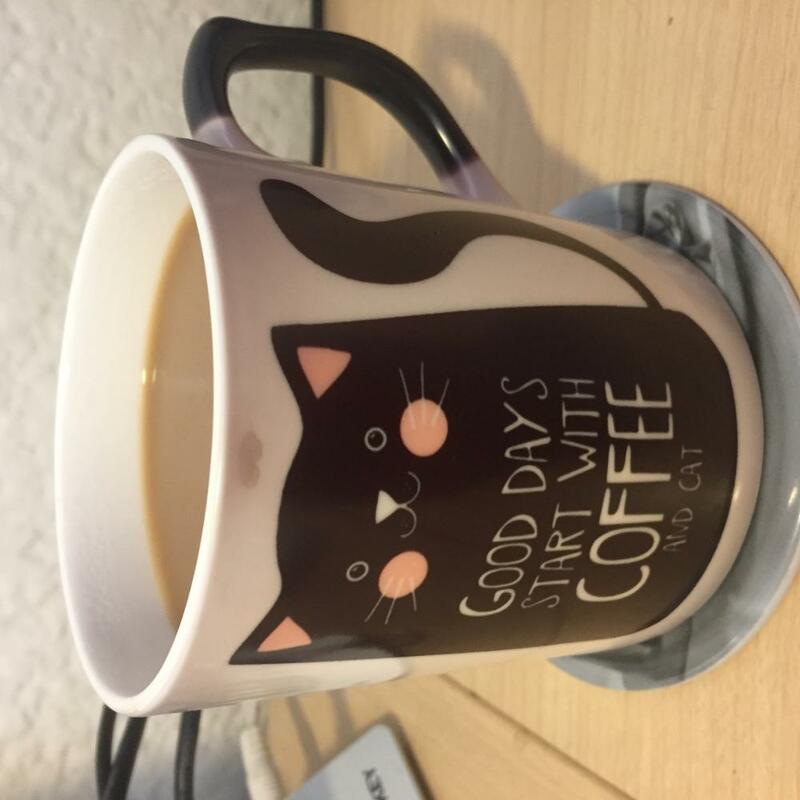 Using the best, grade A ceramic mugs and sublimation inks available, our cat illustration is printed on heat transfer paper, then perfectly applied to the white ceramic mug by hand. Then the mug is inserted into a heat press and baked at 400 degrees for the perfect amount of time. –Size: 3.7″ height x 3.2″ outside diameter, 11 fl. oz. HURRY, GET YOURS NOW! $5 OFF + FREE SHIPPING TODAY ONLY! 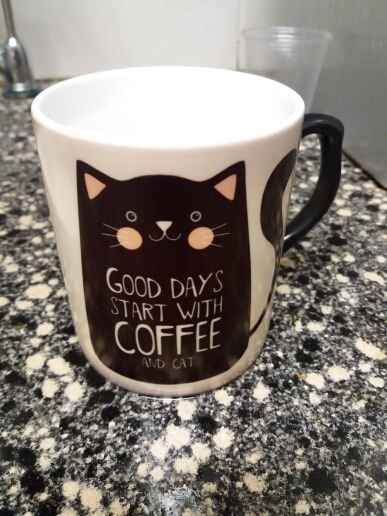 I purchased this adorable mug as a gift to the lady responsible for my new kitten’s adoption. She is a perfect, caring example of a wonderful animal /cat rescue called Wild Blue here in Colorado Springs. She loves this mug, but not nearly as much as I love my kitten! Every family has one. That crazy cat person. The one who shows up to the family reunions/visits who has cat fur on all there clothing. When everyone talks about there kids this person talks about their “babies”. Chances are this person is the most intresting person in the room. Especially after a few drinks. Most likely they also have a really warped sense of hummor. The one in my family does and that person will absolutely LOVE this gift. So what the heck (wife made me put that) make that visit/reunion/birthday/holiday fun. I was worried this was going to be a cheaply made cheaply packaged mug but needed a last minute gift for a cat lover. It came beautifully packaged in a nice box and wrapped in plastic. I was able to carefully open it and add accessories to her gift and then wrap it back up . She loves the mug and the play on words per say. Got this for a friend, and he absolutely love it! I got a good chuckle out of him and all his roommates ;D I also really love the design/font of this mug. It’s been a few months, and he has heavily used it, but it still is as good as new! He places it in the top rack of the dishwasher, and none of the words have peeled off. Definitely recommend this high quality product! Super happy I got this mug as a gift. There are other designs with this phrase, but when I saw others they just looked like copycats to me (sorry, i just had to). This art design captured the cheekiness of the message for me, and ultimately it is this, plus the attention to detail in the description that compelled me to get it. 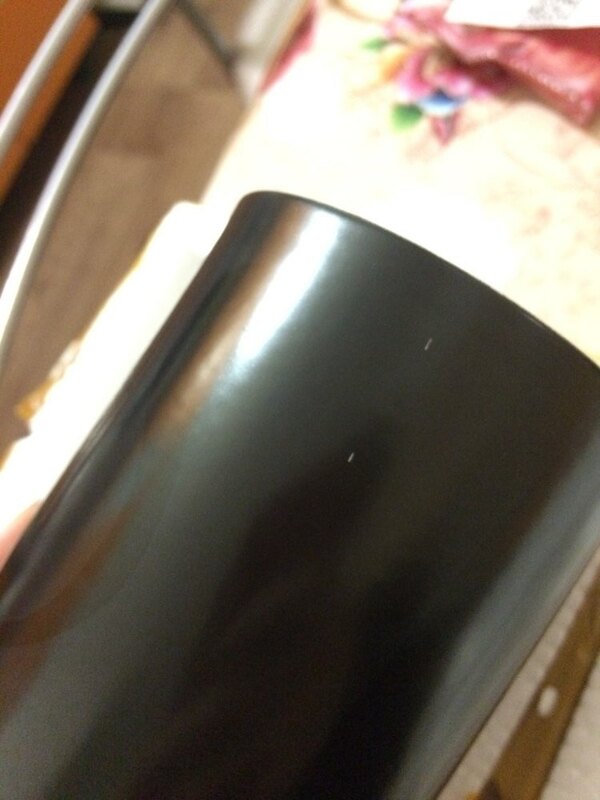 Product is packaged well, and upon inspection, I couldn’t find any faults. Somehow the physical mug is even more amusing than the pic. Get it! Fine craftsmanship. My wife loved it. We are the caretakers of six Hemingway Feral/Community Cats, and she is a former Komen Race Chair. Need I say more? I got this as a gift for a cat lover friend, and it’s perfect! I loved it!! I got it as a gift for a friend and they loved it also! Hehe. Kitties. Gave it to my wife. I’m 6 on the inside. I approve. 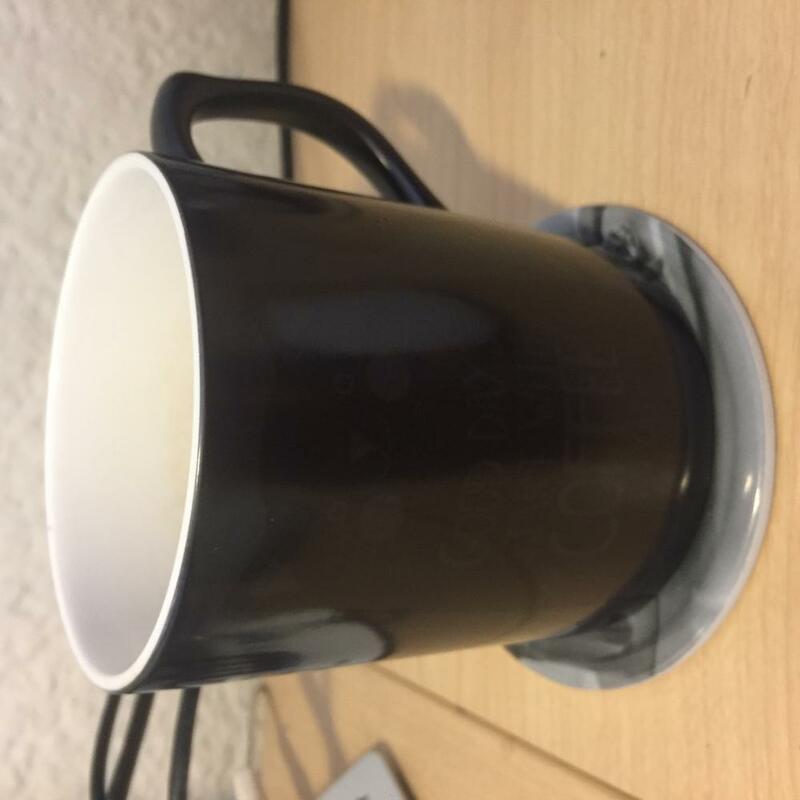 cup, such as, funny desing will look like. Everything is perfect, just like on the picture. Package arrived safely. Love it, thank you. securely packed a cup cool, it’s all safe and sound. So cute! Got for my wife. She loves it! Product arrived quickly and as a coffee addict, I’m absolutely in love with my new favorite mug!! !